Fairmont Hotel is a recently opened 5-star hotel in Jakarta, Indonesia. It is strategically located in Senayan, next to a shopping mall, across a golf course, certainly one of the best location in Jakarta to build a hotel. 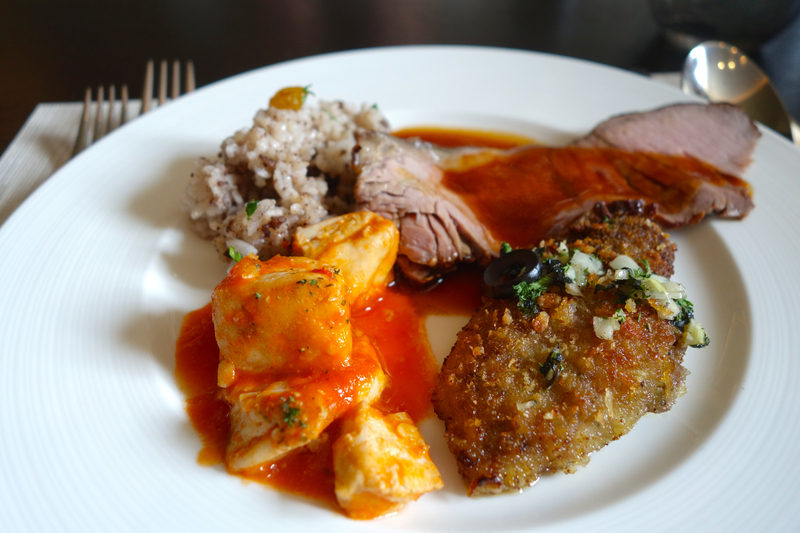 My family has a hobby to eat buffet at hotel around Jakarta once or twice a month, usually at weekend. 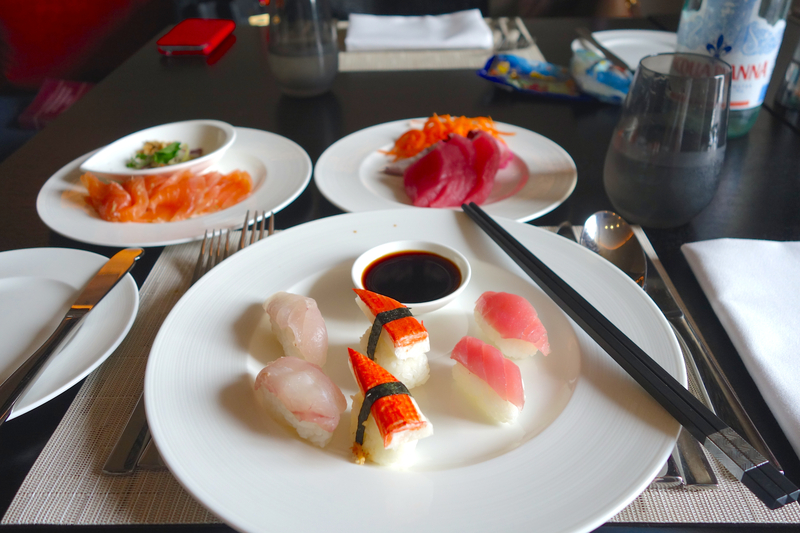 After years of touring around Mulia, Shangrila, Ritz Carlton, Pullman, Hyatt and other hotels in Jakarta this week we are eating in Spectrum, an international buffet restaurant in Fairmont. The hotel itself is very new, despite its 5-star rating the hotel’s lobby occupied by very few staff. It even feels like an empty office building rather than a hotel. We saw very few customers and staff on our way to the second floor where the restaurant located. However the staff at the Spectrum restaurant are helpful and nice. The restaurant has variety of food ranging from Japanese, Indonesian, western, and desert space. If you are used to eating in buffet restaurant in other hotels in Jakarta, you should expect the same, the food resembles Mulia, but the space and design looks more like Collage at Pullman. 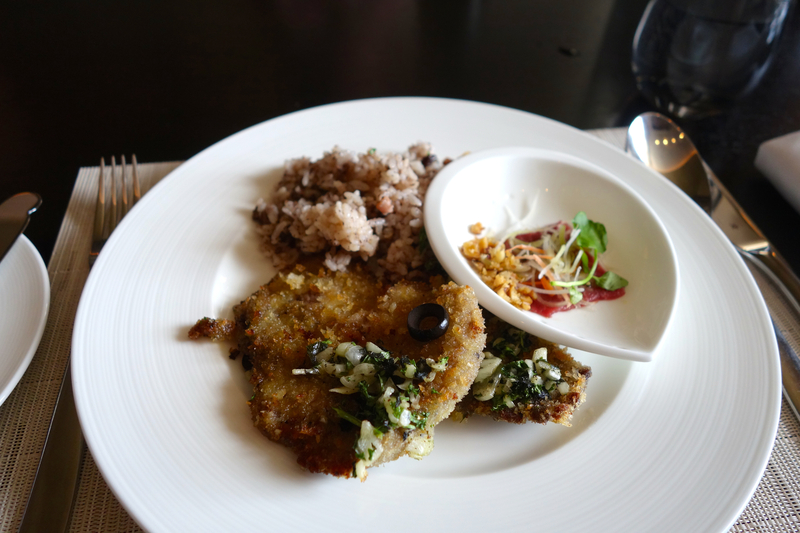 The price at Saturday for lunch is Rp 333.000 nett, drinks are not included. 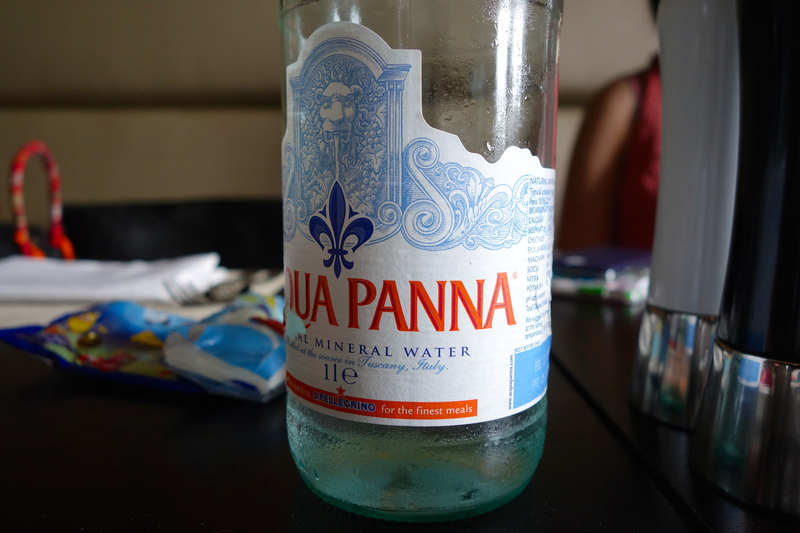 For a one litre bottle of Aqua Panna cost Rp 110.000 ($9), very expensive. 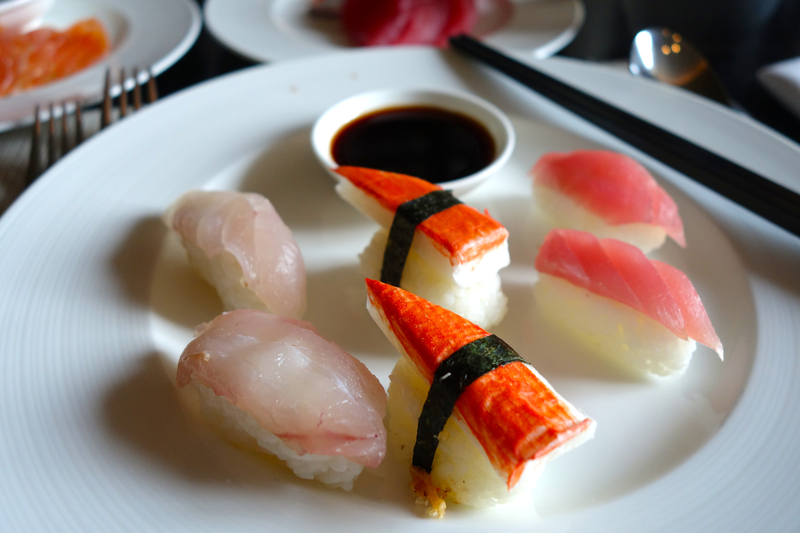 The sushi and sashimi lacks variety, heck, they even ran out of salmon. However they serve octopus which is quite rare to be found in other restaurant, except at d’cafe Mulia. 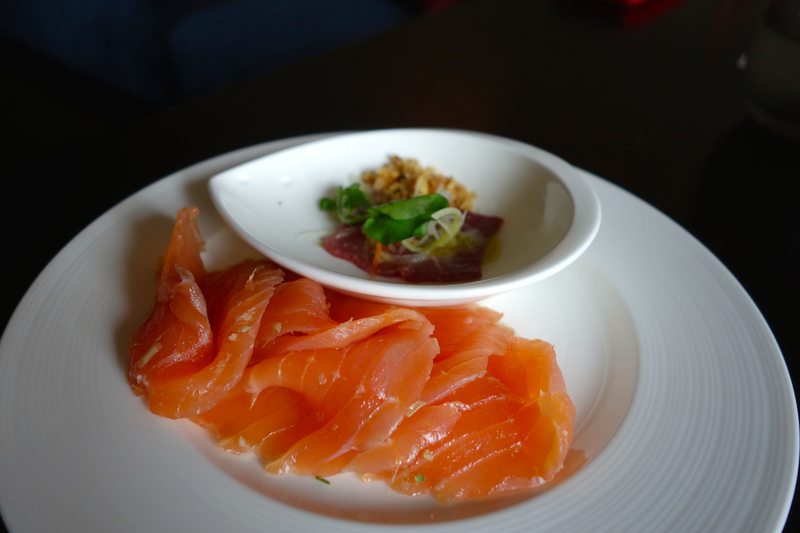 Their sashimi is very good, but again lack of variety. Next to the sashimi counter there is a soup counter where you could choose mussel, squid, meatball, noodles. Then you give your bowl to the chef and he will cook it for you. Chinese counter has duck, chicken, hainan rice, etc. Things you would expect from a chinese restaurant. On the right side of the restaurant is pasta section, here you could order pasta of your choice, cooked with choice of general sauces available and toppings. On the middle of the restaurant there are two long tables. One table has eight to nine main foods, lamb chop, sirloin steak, rice, vegetables, and assorted seafood. The other table has breads and appetisers. The desert section consist of mainly Indonesian desert, puddings, ice cream, and apple strudel. On conclusion, the restaurant design 4/5, food taste 4.5/5, varieties 4/5, price 3.5/5. What I like from the restaurant is the concentrated food counters, making it less confusing and more observable to what we want to eat next. On the downside, drink is not included even a one litre bottle of water cost way too expensive. I personally think it would be better for the restaurant to charge more and include free-flow water instead. 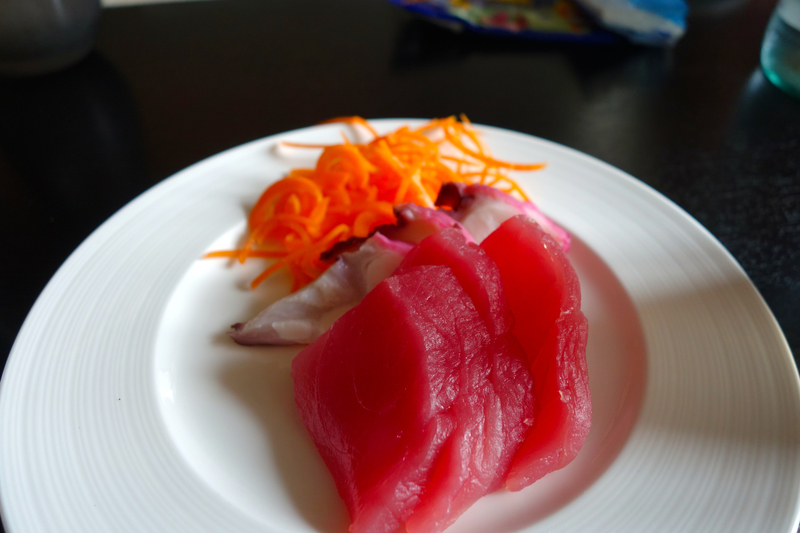 This entry was posted in Review and Ideas and tagged all you can eat, buffet, fairmont, hotel, jakarta, lunch, price, restaurant, review, senayan, spectrum. Bookmark the permalink.